Ahoy me hearty. 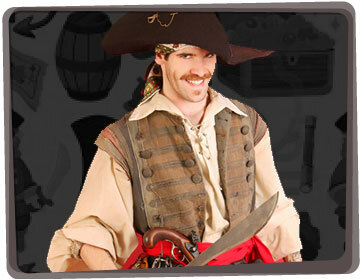 Do you want to hire a pirate for a kid’s themed birthday party? There’s comical magic and laughs galore, from the moment our Pirate for hire steps through your front door. At Yabadoo we understand that “Parents want to know they are going to receive top notch entertainment. That the entertainer will arrive on time and that everyone will thoroughly enjoy themselves”. We work meticulously to make this happens and this is why over half of our business comes from satisfied customers who recommend us. 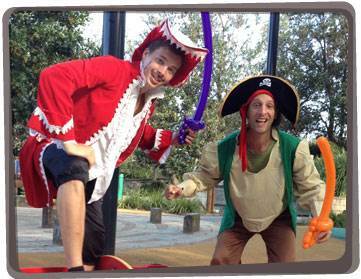 Yabadoo is Australia’s biggest pirate party hire company. Book Now for your kid’s birthday party in Sydney, Melbourne, Brisbane, Canberra, Adelaide, Perth, Newcastle and the Gold Coast.